This is one of the best books written on Sulook and Tasawwuf written by any of the later scholars of Sufism. Some shaykhs have compared it to the books of Imam Ghazali, considering this as better than Kimya-e-Saadat. 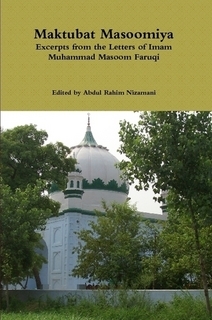 It discusses many topics in traditional Sufism and a large section is dedicated to various practices of Sufi tariqas and their chains of authorization (Isnaad). 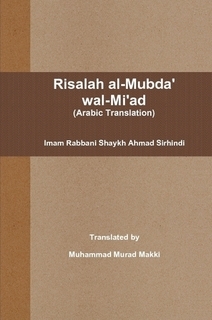 A short book about the realities and secrets of Kalima Tayyiba (Shahadah). Sharah Awrad al-Bahaiya (published cirka 1900) is an old book containing very valuable and important Wada'if (recitals) of great Sufi shaykhs. This includes exegesis on the Wada'if by Imam Abu Saeed Muhammad al-Khadimi (1113-1176 AH) of Turkey, a famous Naqshbandi shaykh. This is the first volume only. This is a list of all the writings of Jalaluddin Suyuti with brief introductory notes and links to those writings on the Internet. Imam Jalaluddin al-Suyuti (849-911 A.H.) was one of the greatest scholars of Islam, a great Muhaddith, a Faqih of Shafi'i school, and a writer with hundreds of written works. Most of his works are still available today and widely read, published and translated. This is one of the best Sufi books, written by the lord of saints Hadhrat Shaykh Abdul Qadir al-Jilani. Originally written in Arabic, this has been translated in various languages as Urdu and English.